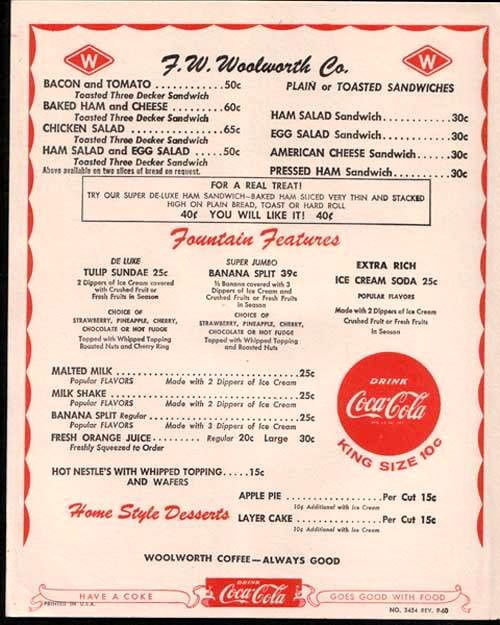 I received this 1957 menu in an email from my cousin Bob in Louisiana. I remember eating at the lunch counter of Woolworth's in the 50's It was always fun to watch what went on behind the counter, and the food was always good. When Sharon, Oden and I eat at Hof's in Long Beach or Los Al, we frequently eat at the counter. When I was in high school, in the 60's (Long Beach Poly), I also ate at the counter at Hof's on Pine Ave., when I took a break from studying at the library. That Hof's has been gone for a long time. Hi Jan. Is Hoff's the same as Hoff's Hut?